Commercial Work | Darrin Gray Corp. 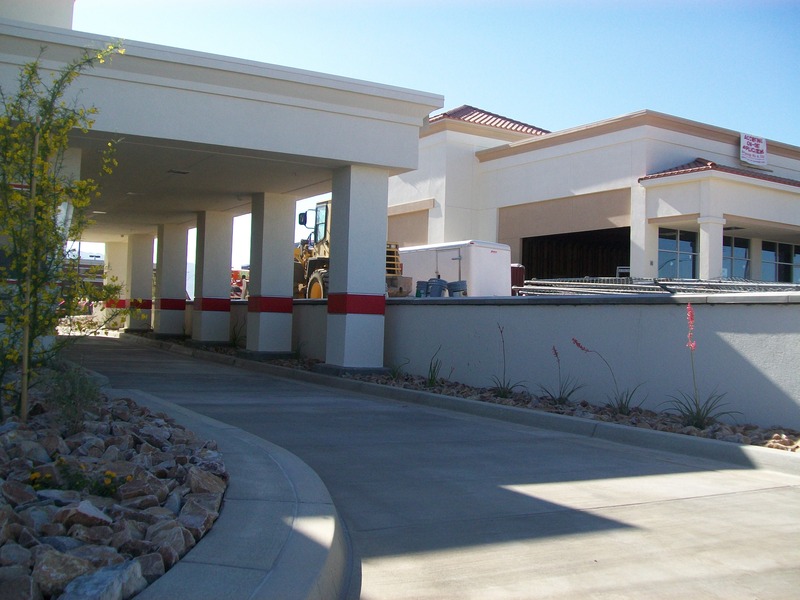 The above is a tenant improvement for SWD Urethane in Mesa Arizona. We added a 2nd story and an addition to the existing building. 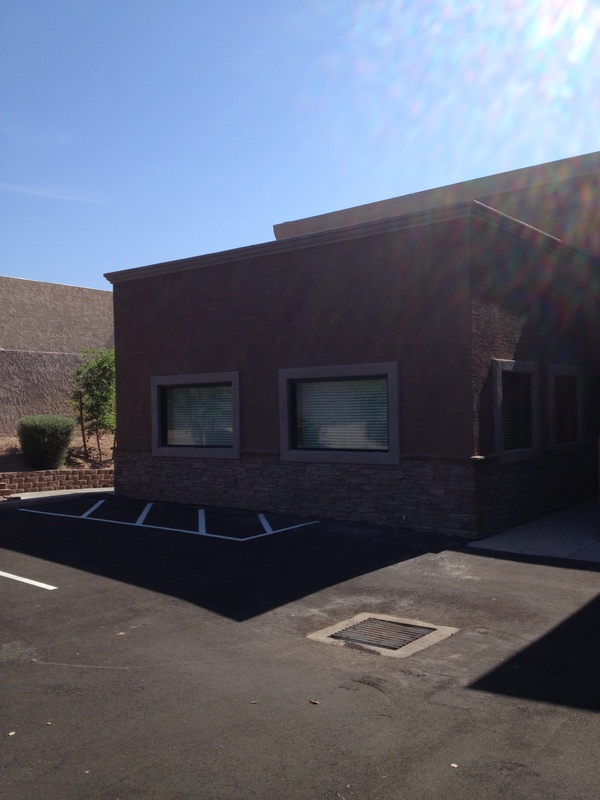 This is a new facility that we built in late 2013 for Gunnell’s Tire and Service in Mesa Arizona. They were on a tight deadline and needed us to get it done fast and do it right while we were at it! It was a great project and it was a lot of fun to build! 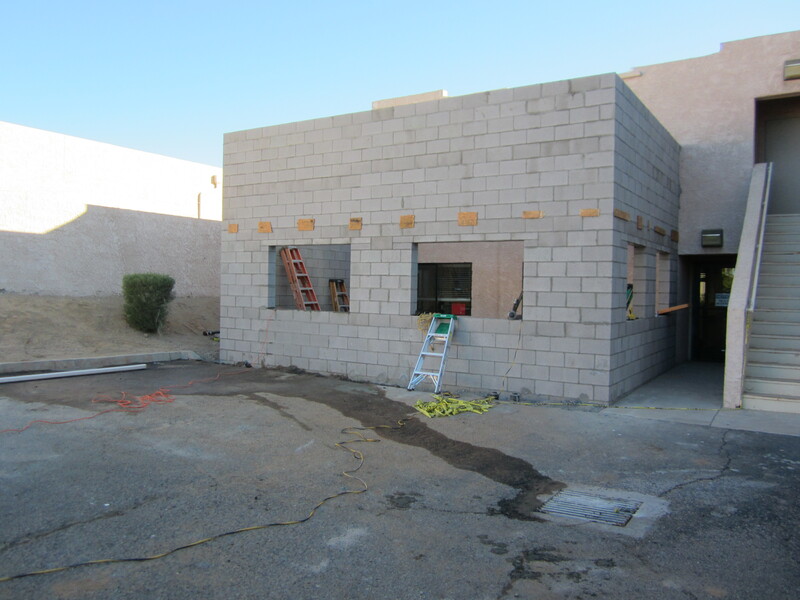 If you have eaten at an IN-N-OUT Burger in Arizona, chances are pretty good that we did the block work on it. 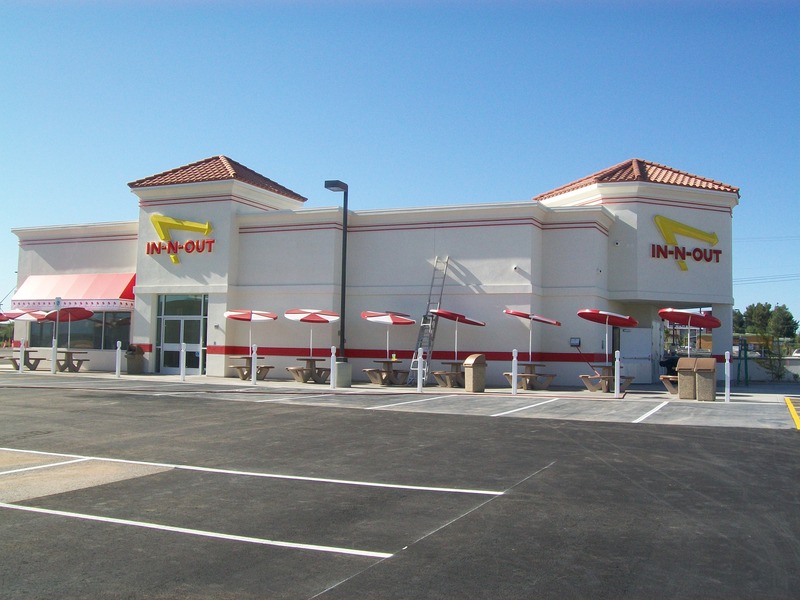 IN-N-OUT Burger is just one of the many commercial enterprises that trust us to build their masonry buildings and site walls the right way. 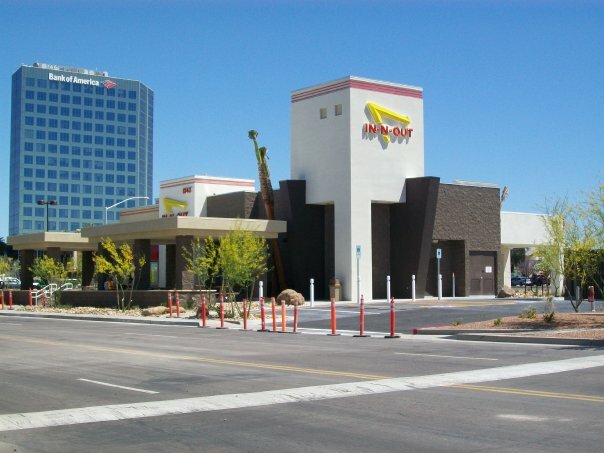 Here is a photo of a Retaining wall and 6 Columns that we did for one of the several IN-N-OUT Burgers we’ve built in Tucson, AZ. We also layed the Precast Concrete Caps on the retaining wall. Our Supplier for the Precast on this Job was http://www.aristonedesigns.com/ They provided a quality concrete cap, on time, at a reasonable price. This is a block addition to a Therapy room at an adult care center. 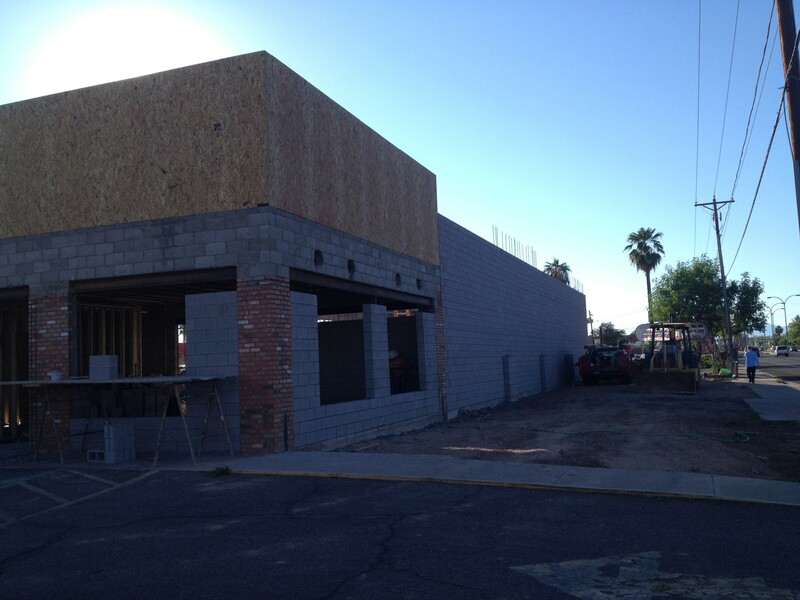 This photo was taken in Mesa, Arizona shortly after the block were layed.